Jennifer and Dustin got married this past spring at Provincial House Chapel. 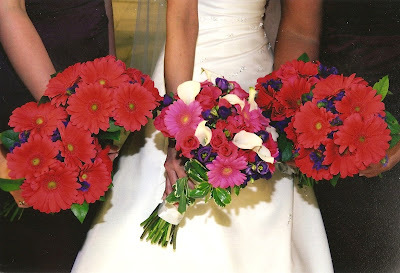 Here are some photos of the bouquets that we designed for the ceremony. The great images are from Trotter Photo. 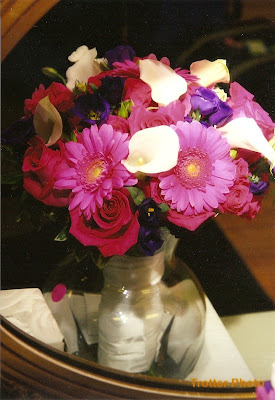 The bride carried fuchsia mini gerbers, white mini callas, purple lisianthus, and bright pink roses. 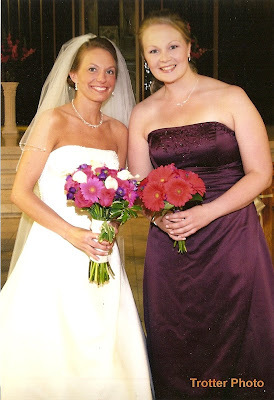 The bridesmaids had fuchsia gerbers and purple filler.